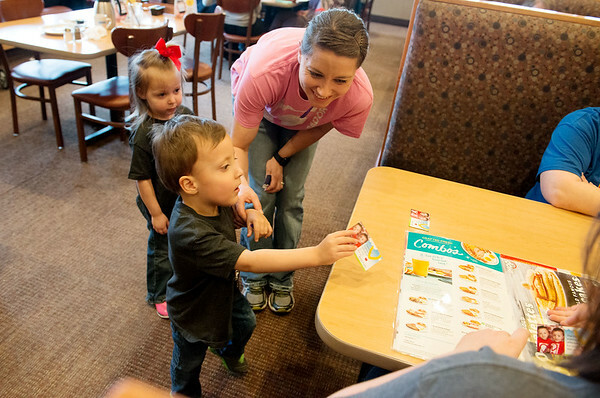 Easton Howard, 3, accompanied by sister Emma, 2, and mother Laurae, hands out an informational card about Children's Miracle Network to customers on Tuesday as part of the National Pancake Day event at IHOP. The restaurant served free pancakes as customers made donations to Children's Miracle Network. The charity has helped the Howard family since Easton and his twin Isaac were born at 26 weeks.